Lemann Foundation Translation Partners Hangout on Air with Professor Keith Devlin (Stanford) – LIVE @10am PST! Hi Courserians, we’re stoked to announce that, as part of our Global Translation Partners program, we have been working very hard with Fundação Lemann to bring fully translated courses to you in Portuguese Subtitles for the most popular Coursera courses in Brazil. There are quite a few courses that are coming up available in Portuguese, one of which is Stanford’s Course, Mathematical Thinking, taught by Professor Keith Devlin. This morning, Professor Devlin will be doing a live Hangout on Air with Translators from Lemann Foundation to talk about the course. Tune in at 10AM Pacific Time! Learn more by reading the blog post from Fundacão Lemann. 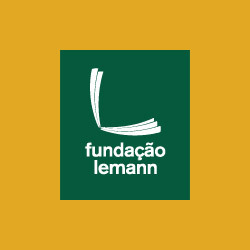 Lemann is a non-profit organization, created in 2002 by Brazilian entrepreneur Jorge Paulo Lemann. The Foundation works to enhance the quality of public education in Brazil, with a focus on guaranteeing that every student learns.